Sensors will continue to pervade our environment in more comprehensive ways. Sensors range from cameras to wearable sensors for health and environment monitoring to low-cost sensors for safety, structural health, environmental monitoring, threat detection, logistics and other applications. At PARC, we bring together a set of key capabilities and insights across a number of disciplines to make ubiquitous sensing a reality. For wide deployment to be possible, both sensors and sensor installation must be low cost. Our scientists are developing low-cost sensors based on printing and other thin-film technologies and working to improve the variability, lifetime and performance of these sensors so they are usable in real-world applications. 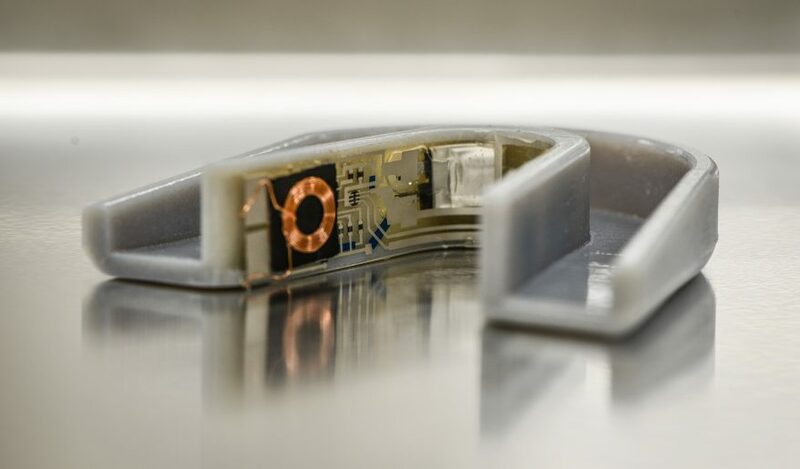 We are also developing methodologies to support the automatic commissioning of low-cost sensors, including “peel-and-stick” form factors based on flexible electronics. To ensure that our sensors can be used as part of a system, we develop supporting electronics and network designs customized for various applications. Furthermore, our sensors and electronics have very low power consumption and can take advantage of RF, solar and thermal energy harvesting. Another key focus of our work is to extract high-value data from low-quality and distributed sensor signals. 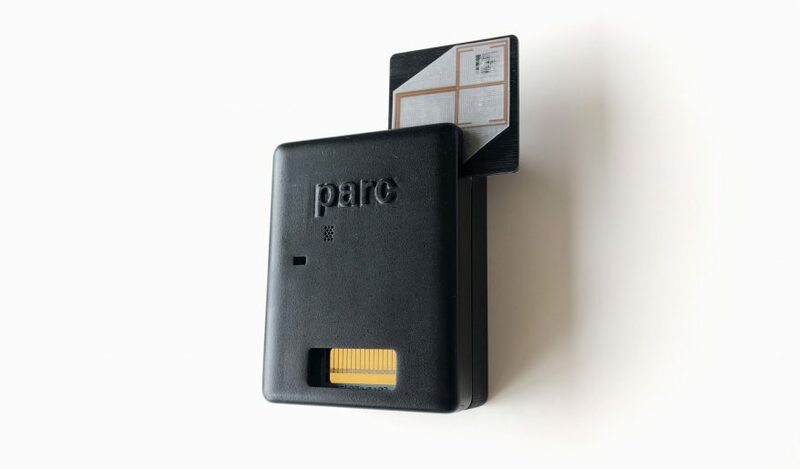 PARC is working on signal processing techniques to improve signal quality, machine learning algorithms to interpret sensor data, and “edge-computing” where data interpretation is performed at the sensor. This is showcased in recent work in gas sensing. 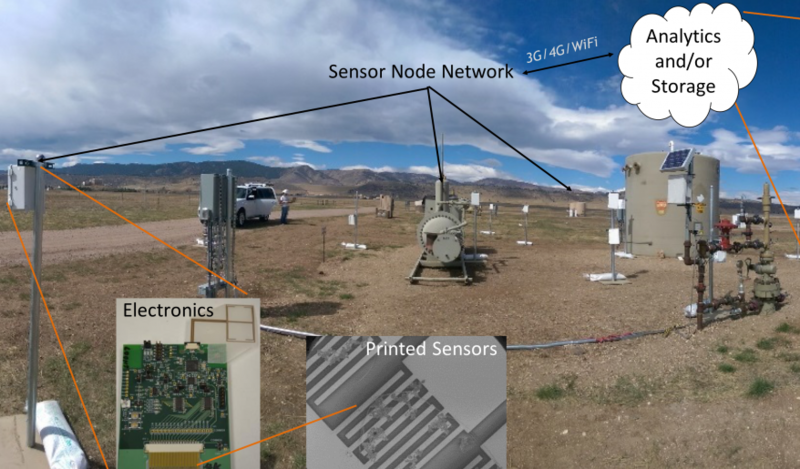 We have developed humidity-robust printable methane sensing materials and printing processes to minimize variability, evolved signal processing algorithms to convert dynamic signals into methane concentrations, used machine learning to determine leak source locations from distributed sensors, and built an electronics system to form an ad-hoc network and communicate the data to the cloud for remote analysis. Download our SPHINCS (System of Printed Hybrid Intelligent Nano-Chemical Sensors) Information Sheet to learn more. Learn about our Printed Gas Sensing technology. 1. Mouthguard with sensor label for saliva biosensing. 2. Sensor label for saliva biosensing. 3. System of Printed-Hybrid Intelligent Nano-Chemical Sensors (SPHINCS): A mesh network of ultra-low-cost printed sensor arrays that can detect natural gas leaks with ppm sensitivity and localize and quantify the leak rate.